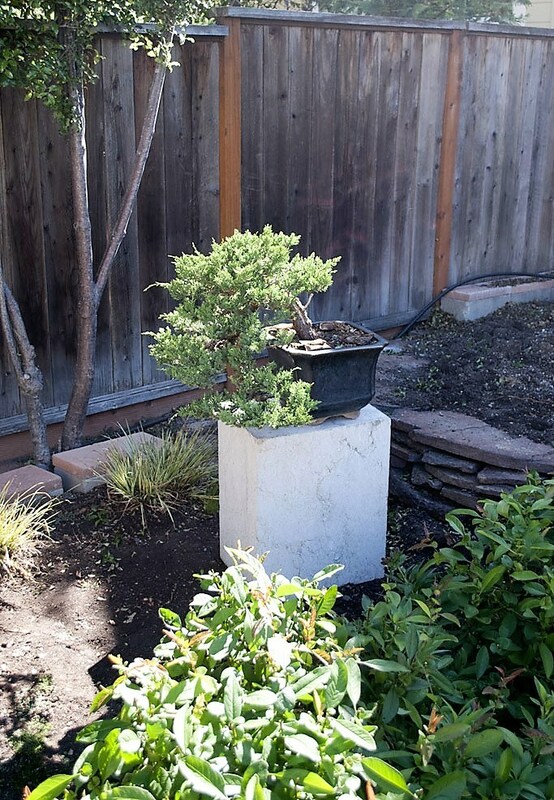 I recently purchased two lime stone pieces from American Soil and Stone, Richmond, CA. I got tired of wood bonsai stands and fighting wood rot and termites. I wanted something different in the way of bonsai stands in the landscape. The two lime stones were cut but are odd pieces in that they show some raw sections of the original stone. I believe they look artistic. In any case, I got a price deal because the stones were not perfectly squared off. I paid $150 each, plus $210 and tax to deliver the stones to my driveway in Petaluma. I had to figure a way to lift and move the stones from the driveway to the landscape. With a good dolly having new tires and the help from a solid friend, we muscled the stones into place. 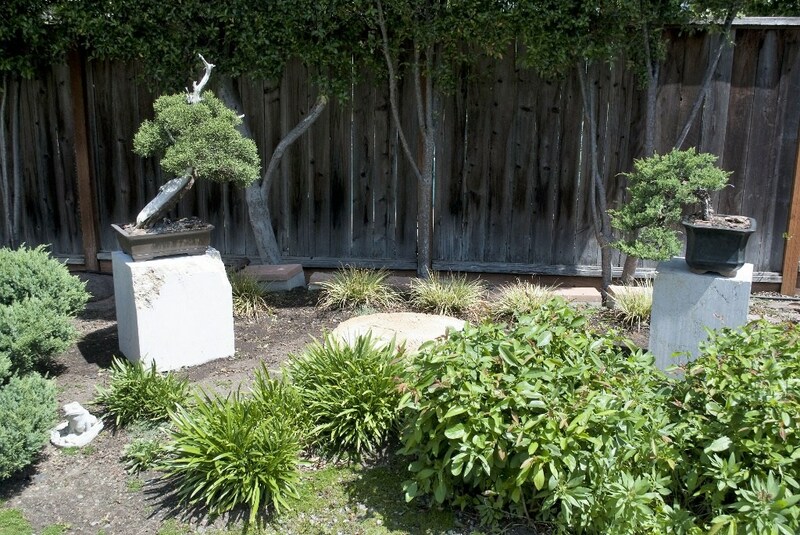 I then topped the stones with bonsai from my collection. 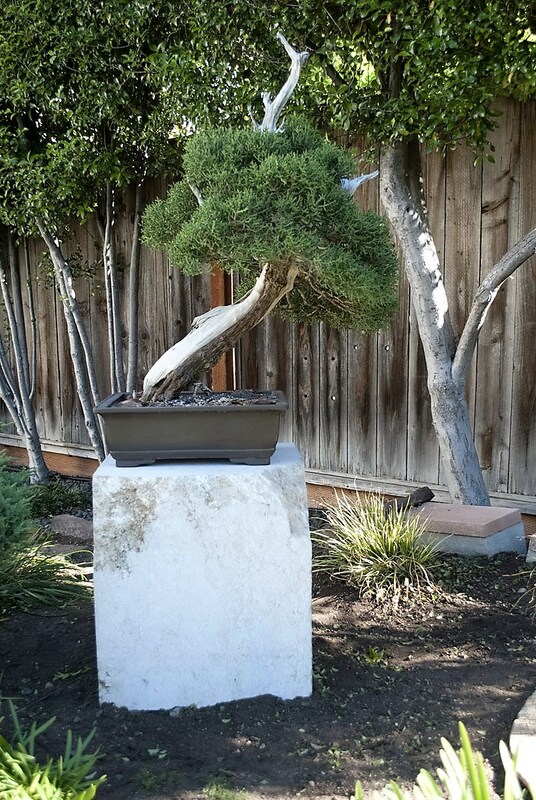 I think the stones make great alternative bonsai stands and add an artistic touch to the overall landscape.